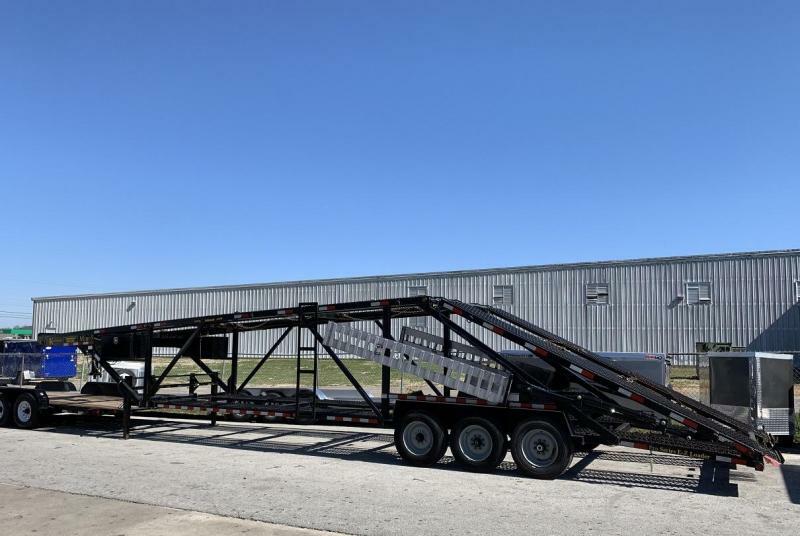 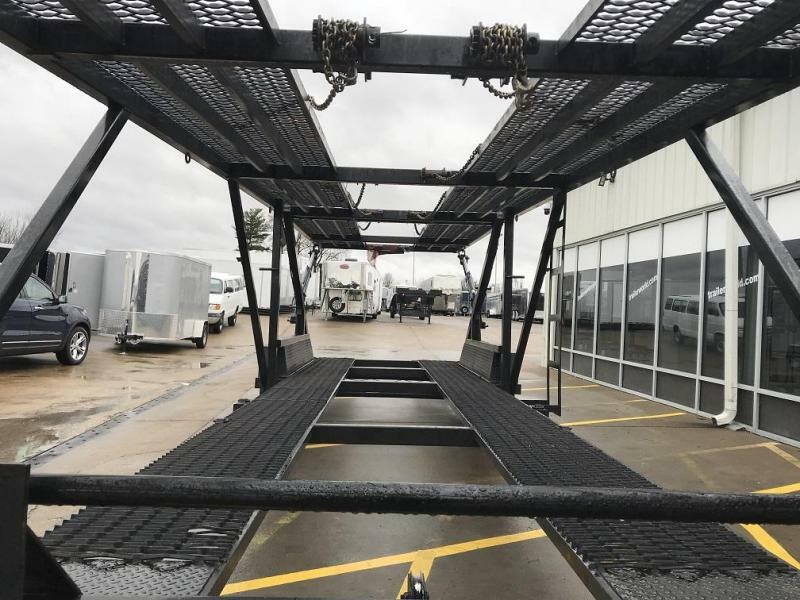 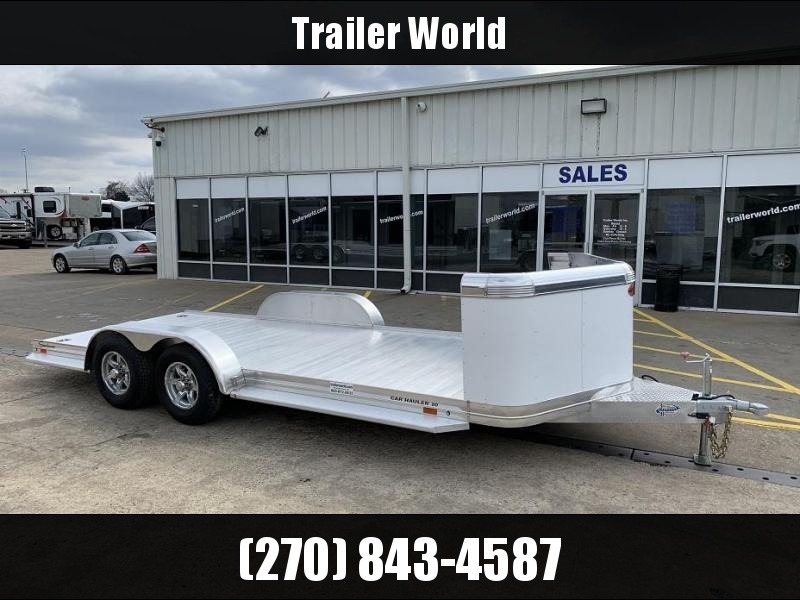 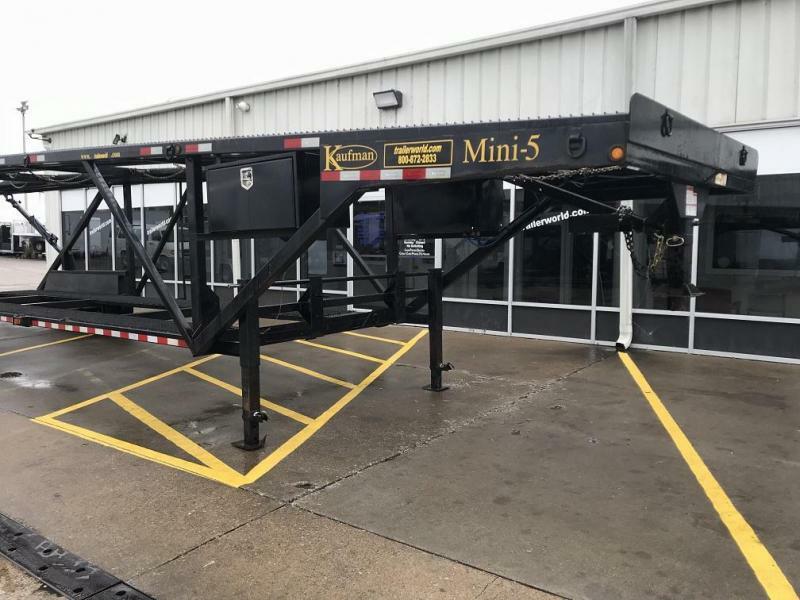 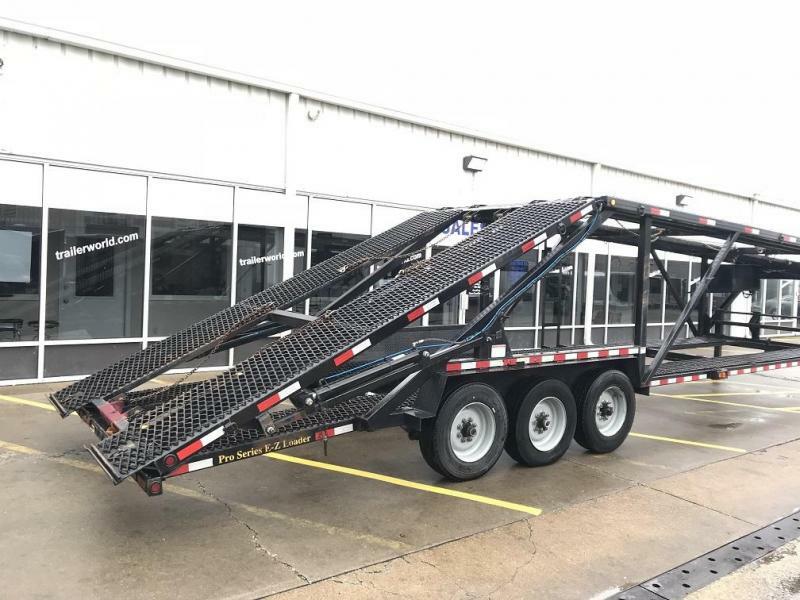 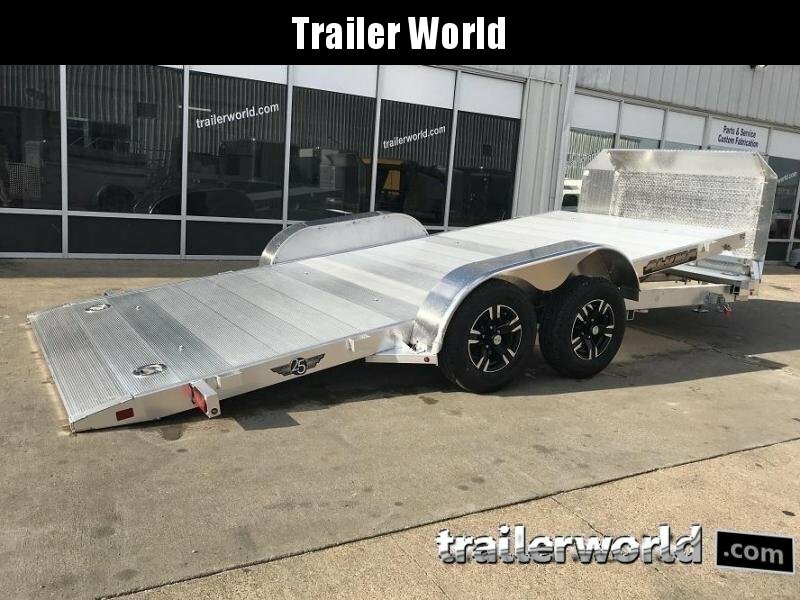 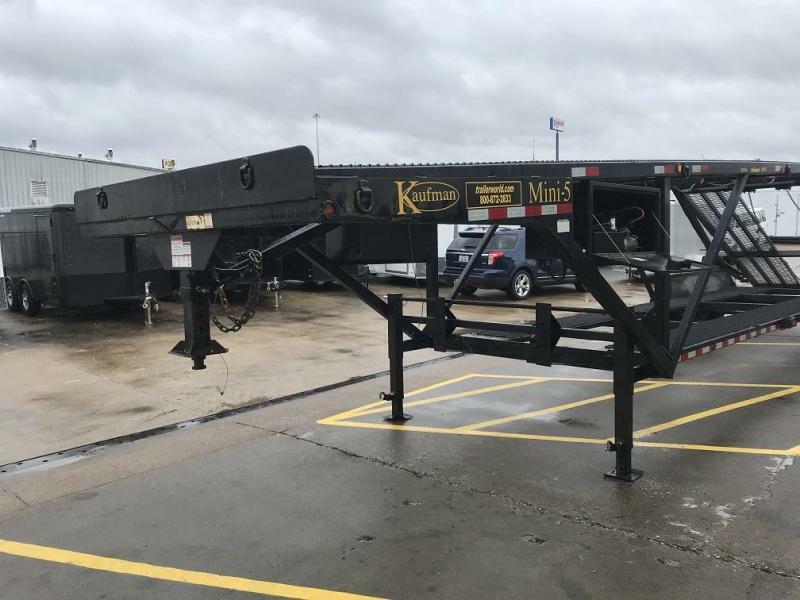 Mini 5 car hauler trailer is unique to the car hauling industry. 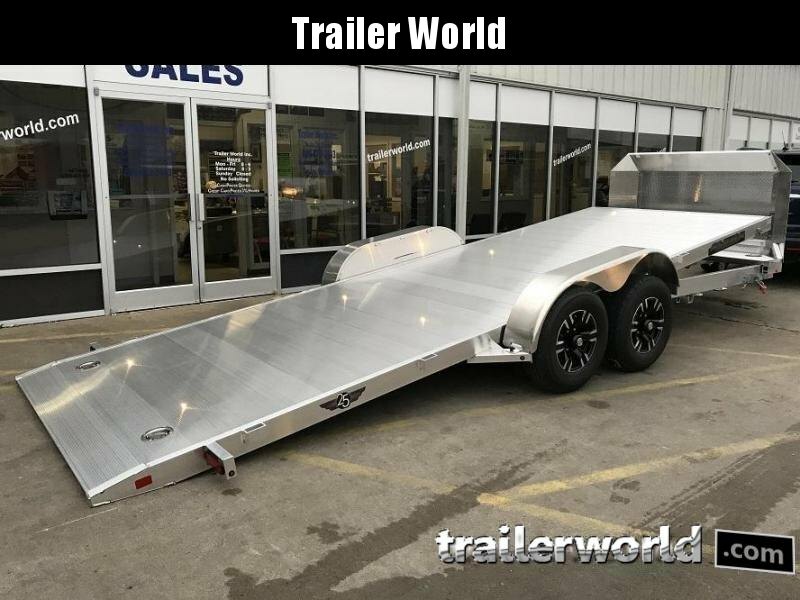 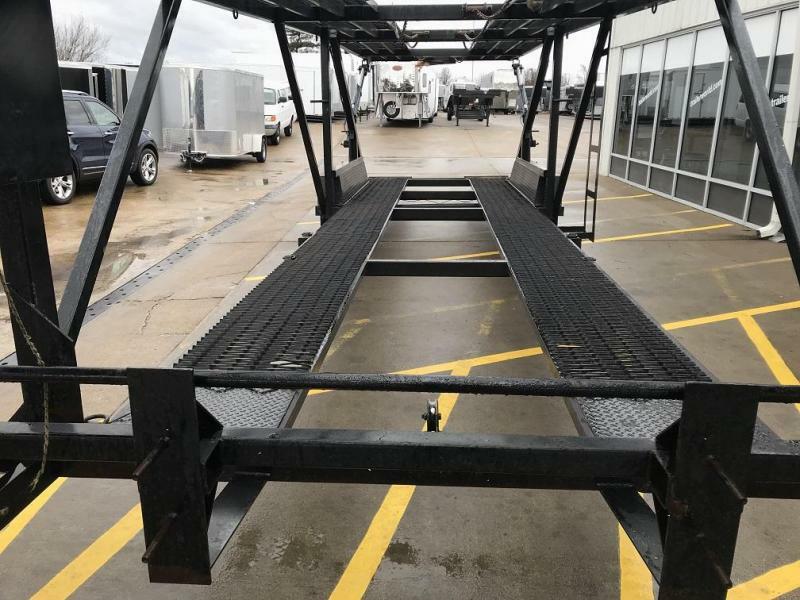 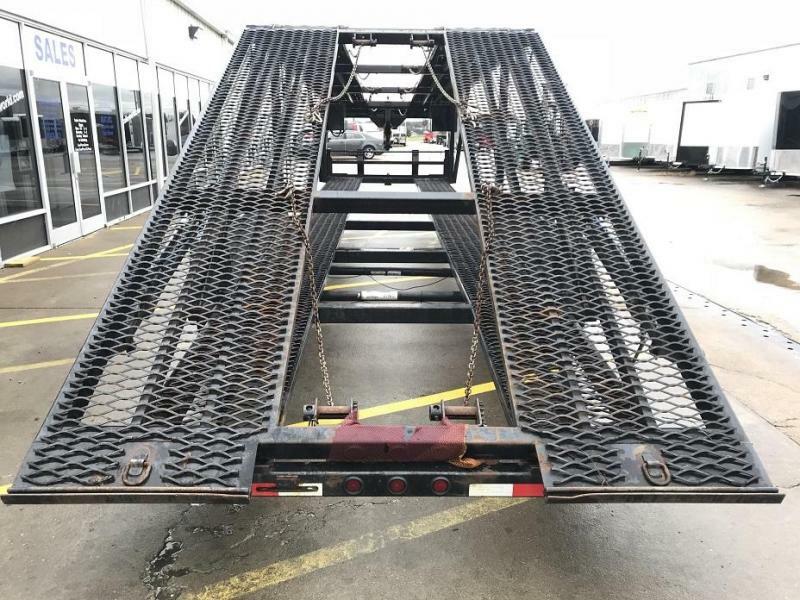 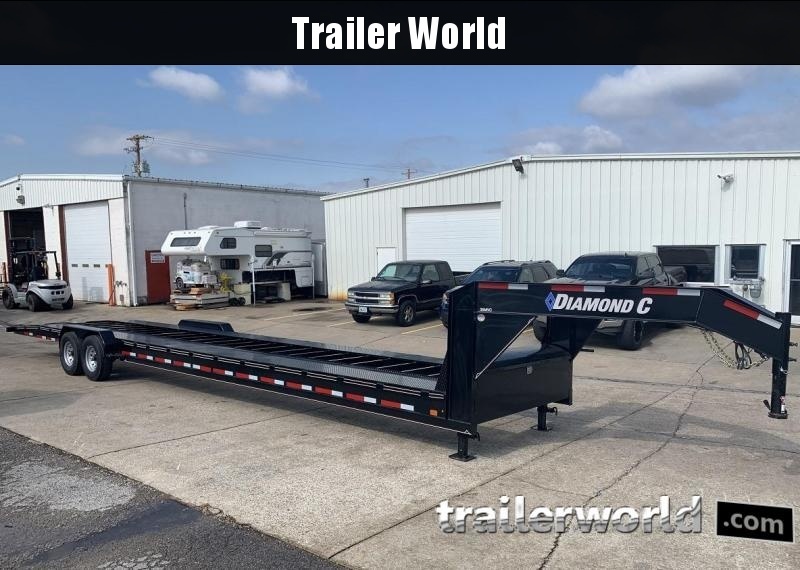 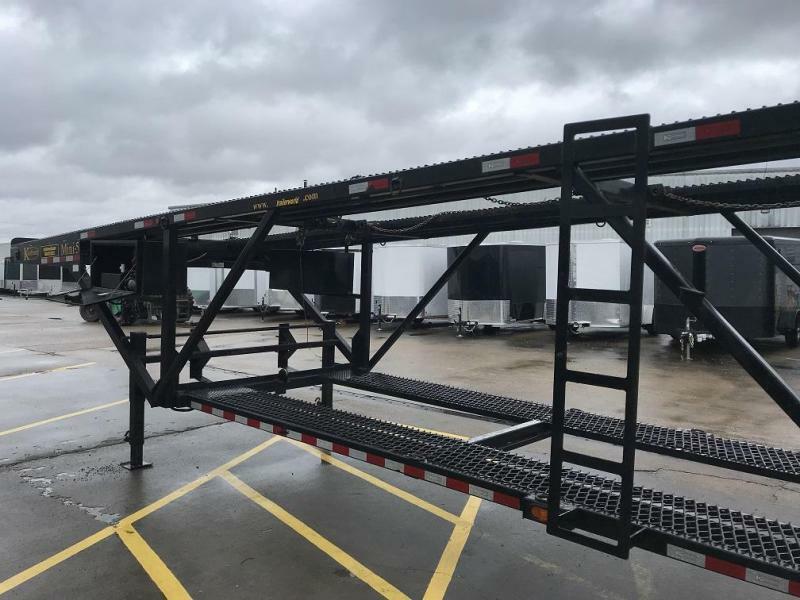 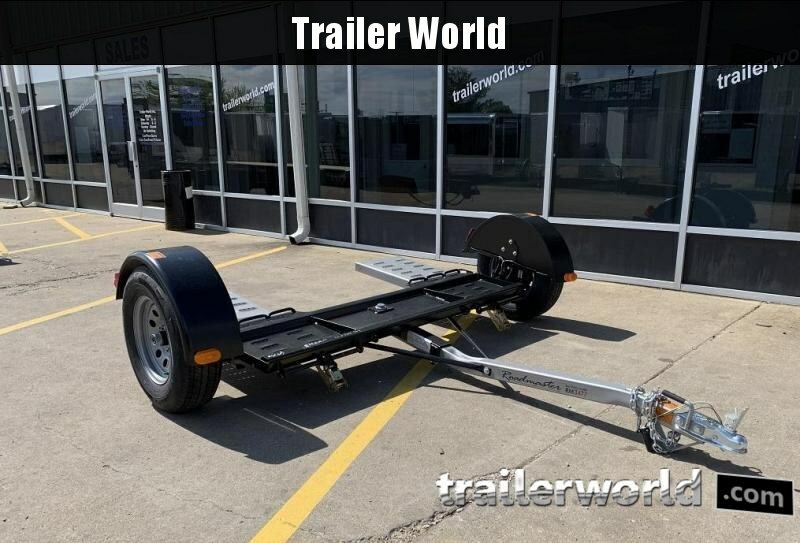 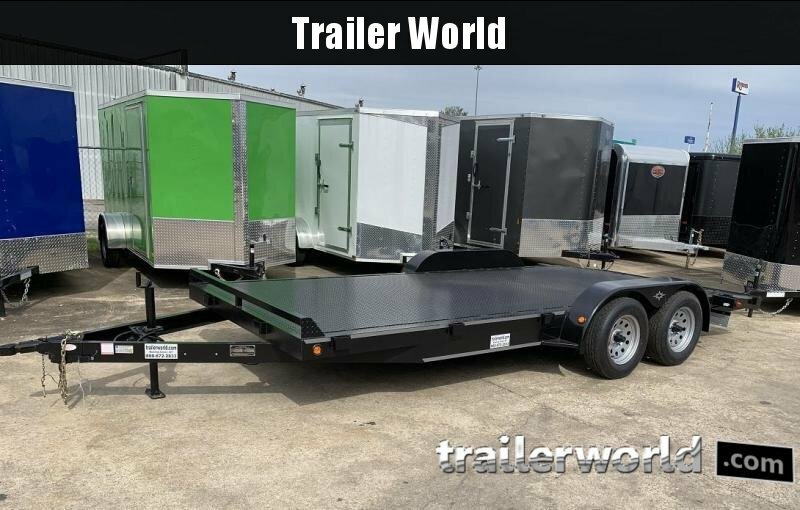 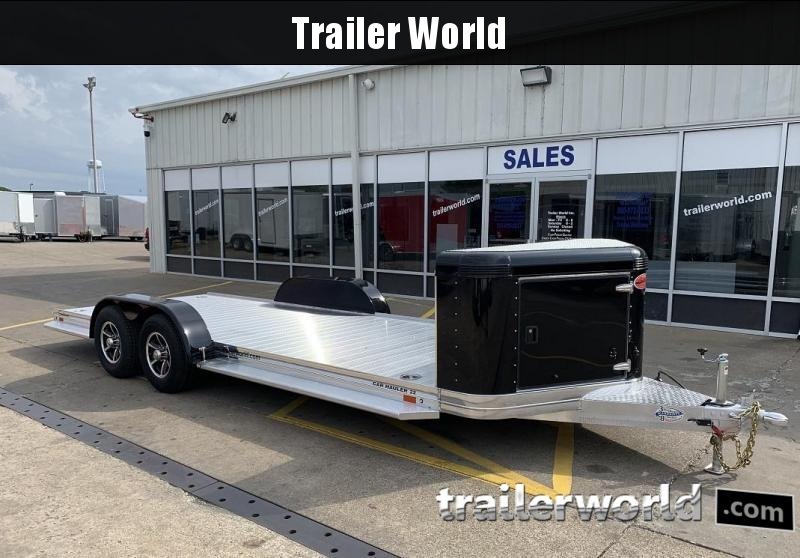 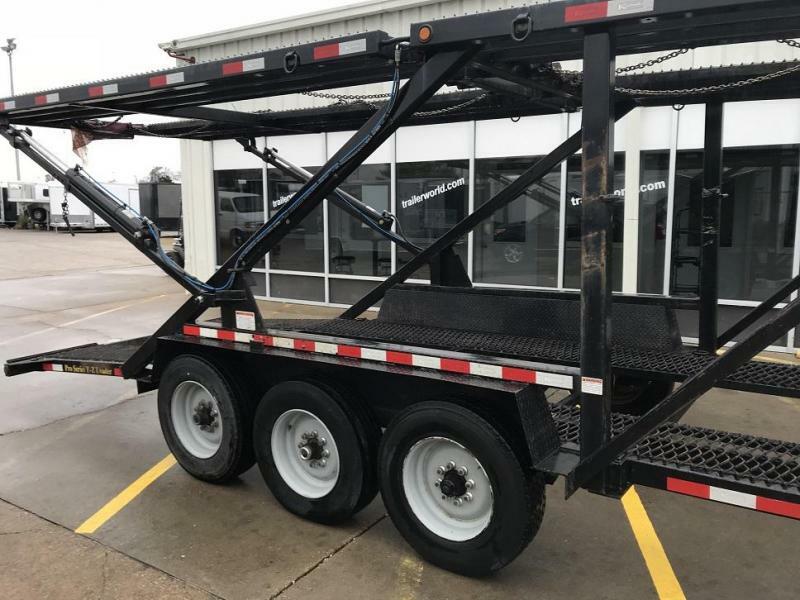 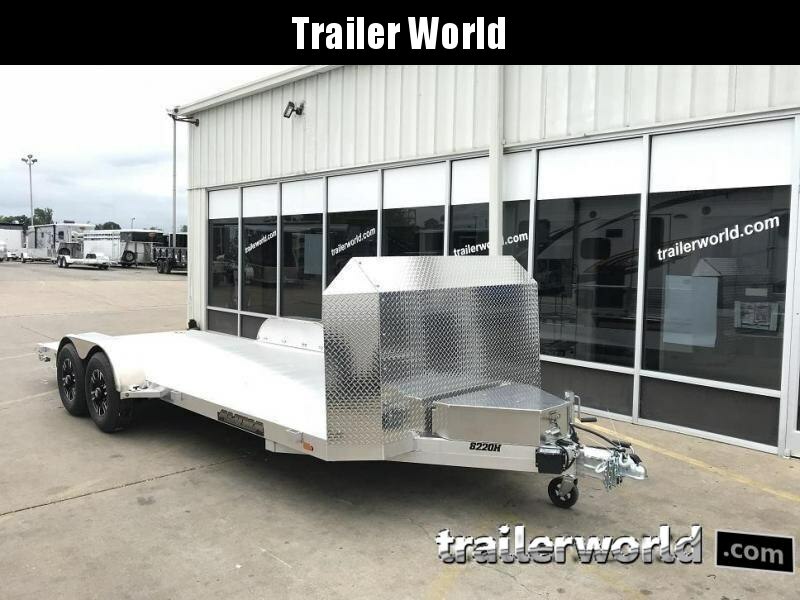 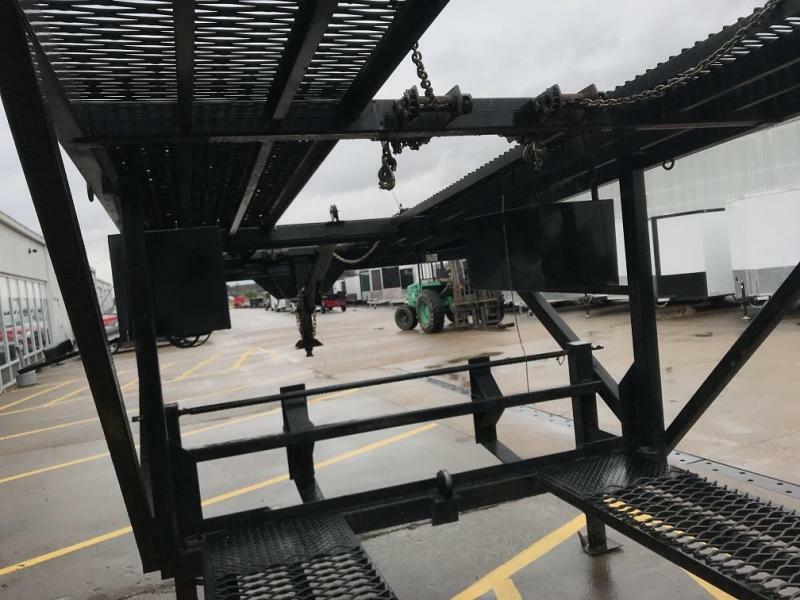 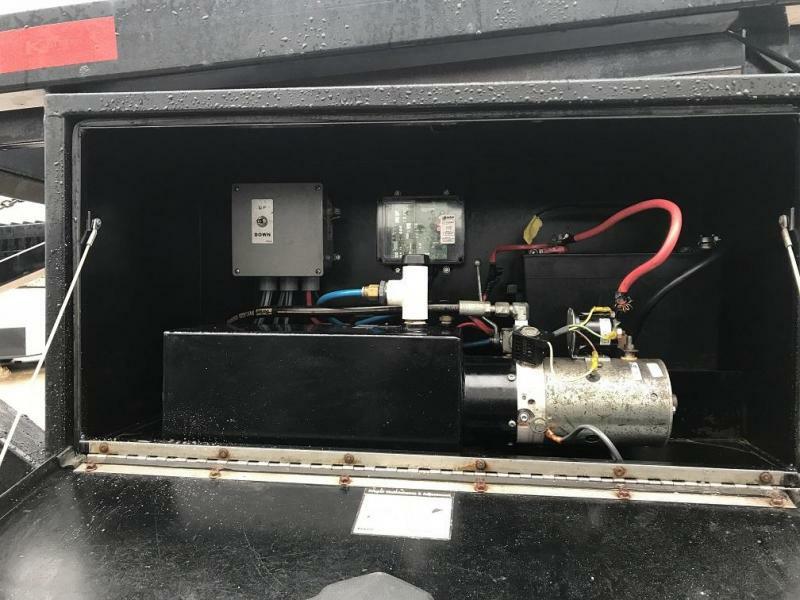 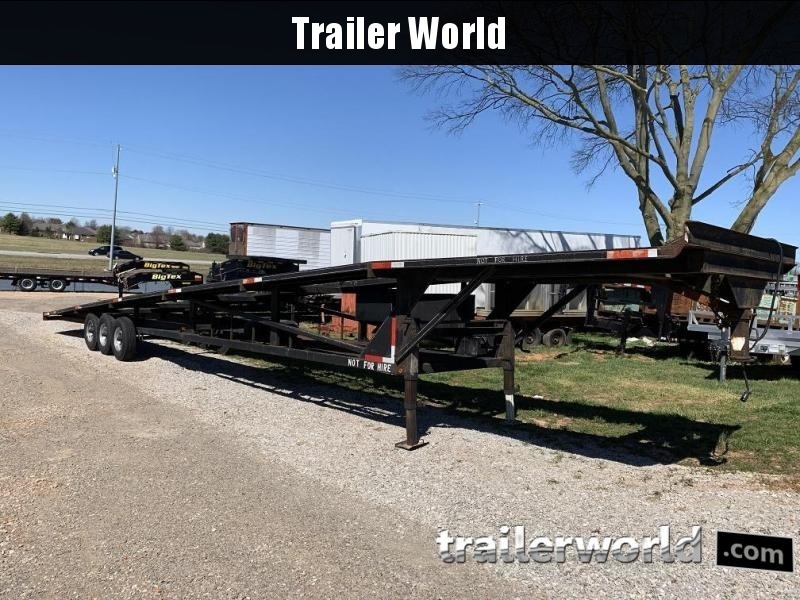 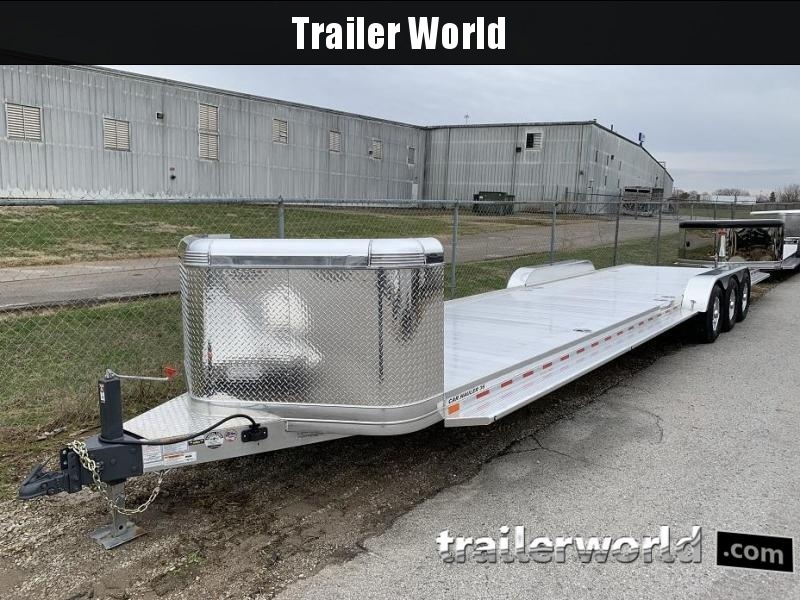 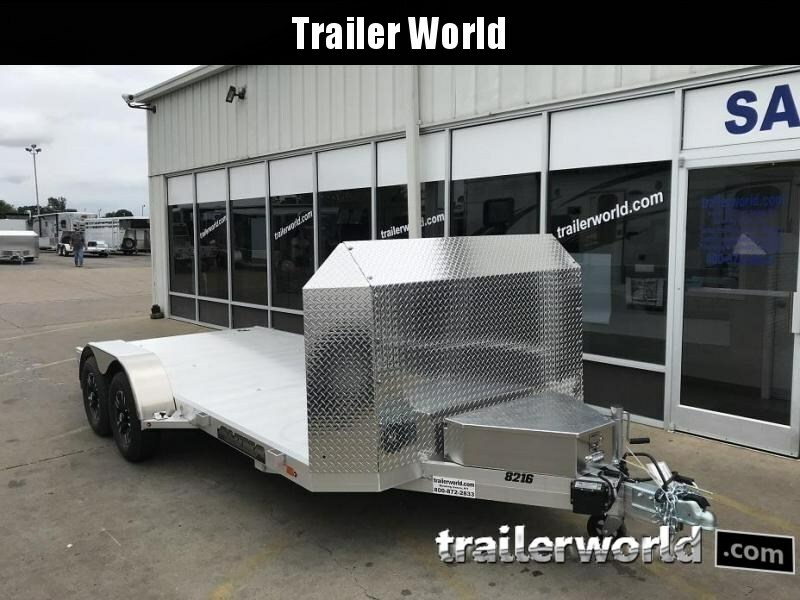 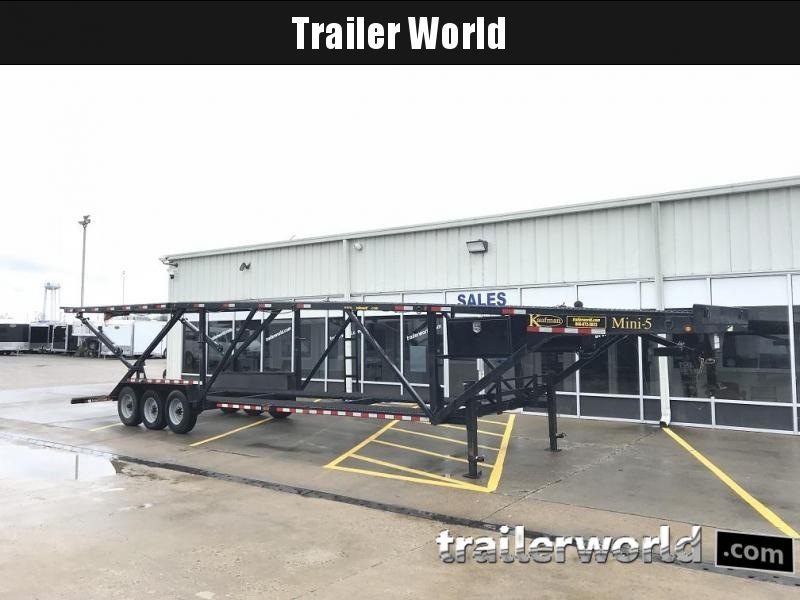 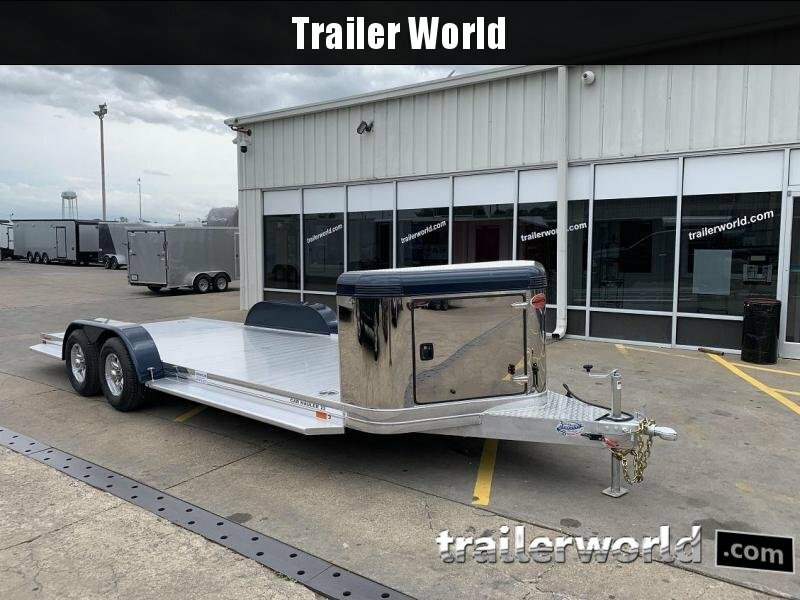 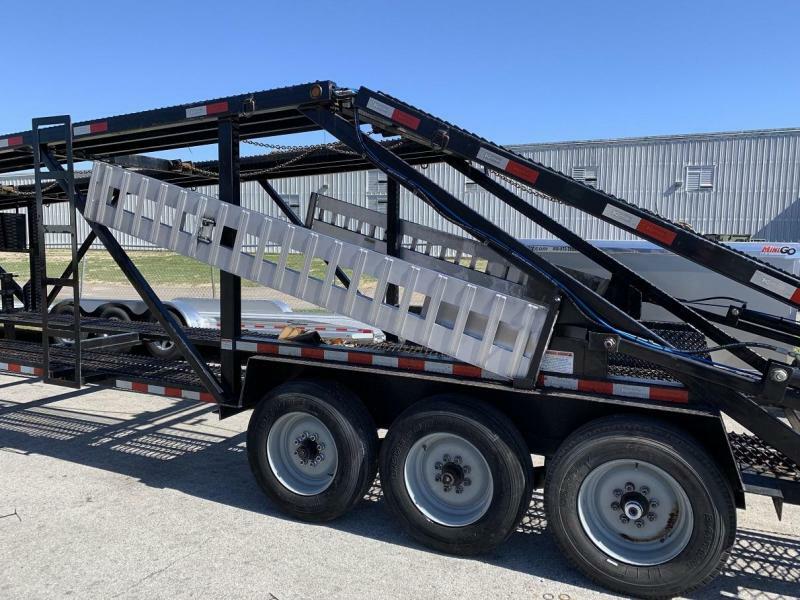 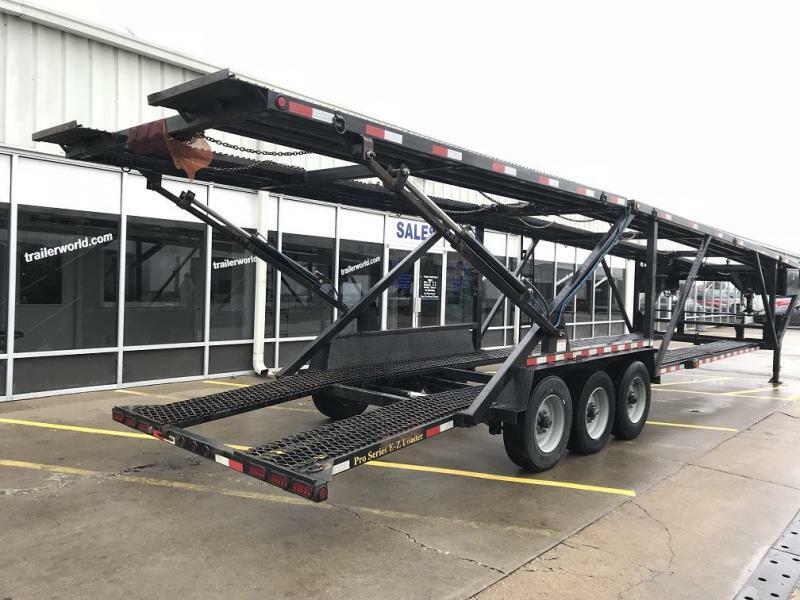 This trailer weighs 8,750 lb. 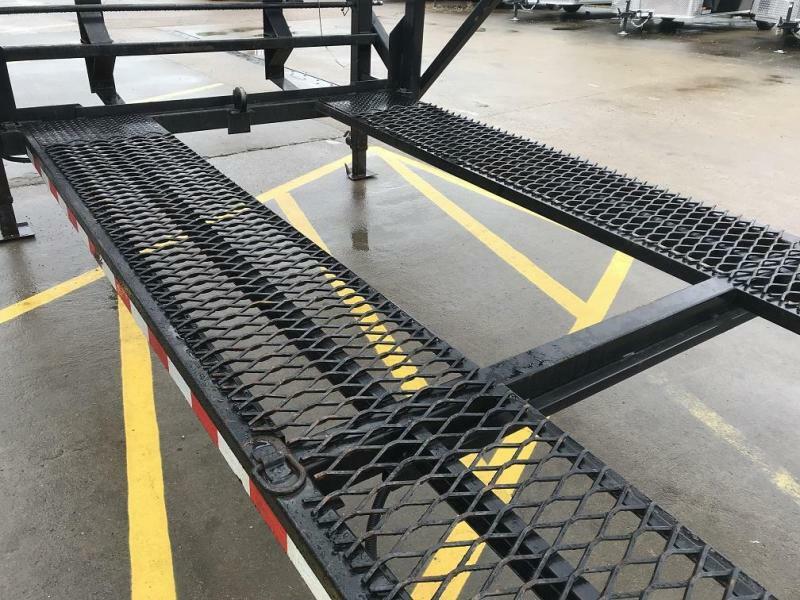 Heavy mesh floor upgrade with tire tie downs. 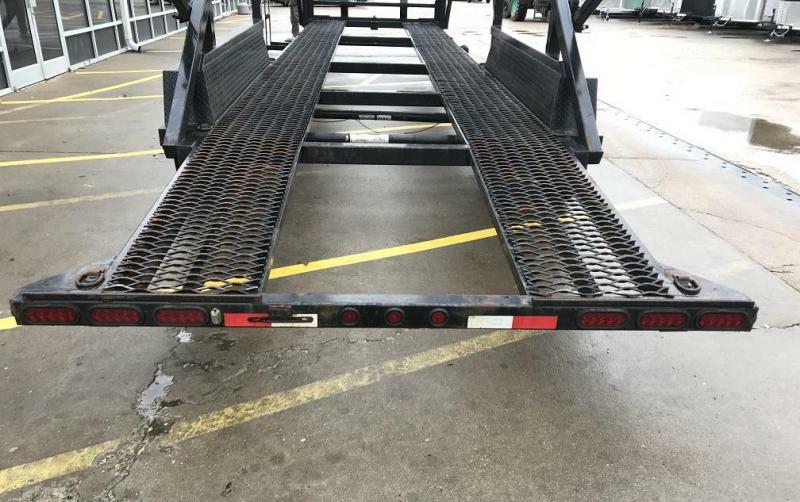 Deck Width: Lower deck: 80 in. 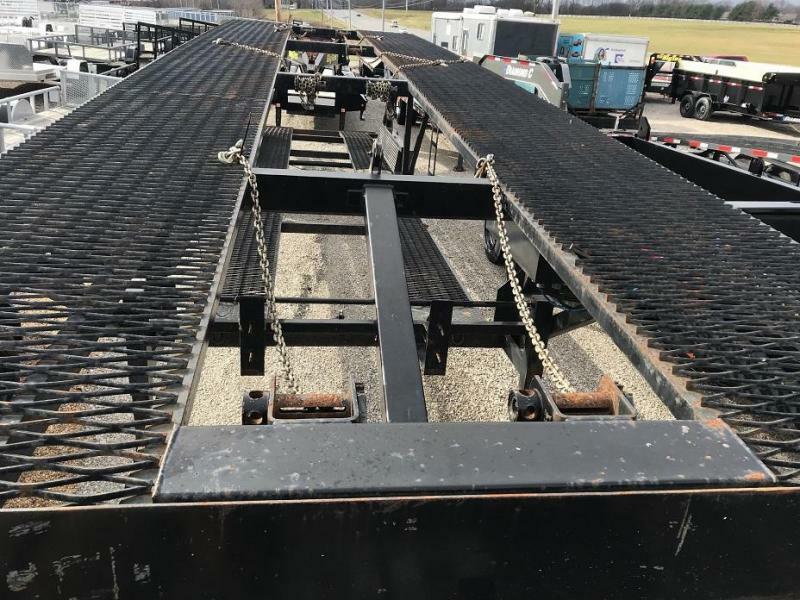 Upper deck: 98 in.